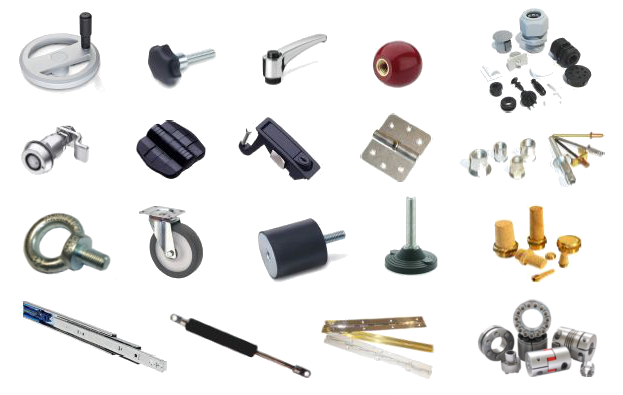 We have a wide product range of technical accessories like Southco® hinges and latches from stock. Rubber bumper in different types and metrical threads are also availablle from stock. We fill Gassprngs ouerselve in small-scale series. Furthermore Accuride® telescopic slides and hinges are included in our delivery program. You see that we are working closely with leading suppliers and hold an extensive stock. This way, we can provide good conditions, availibility, innovation and the knowledge we achieved over many years in that sector.